& Takes Over-All Skin Rejuvenation to the Next Level! 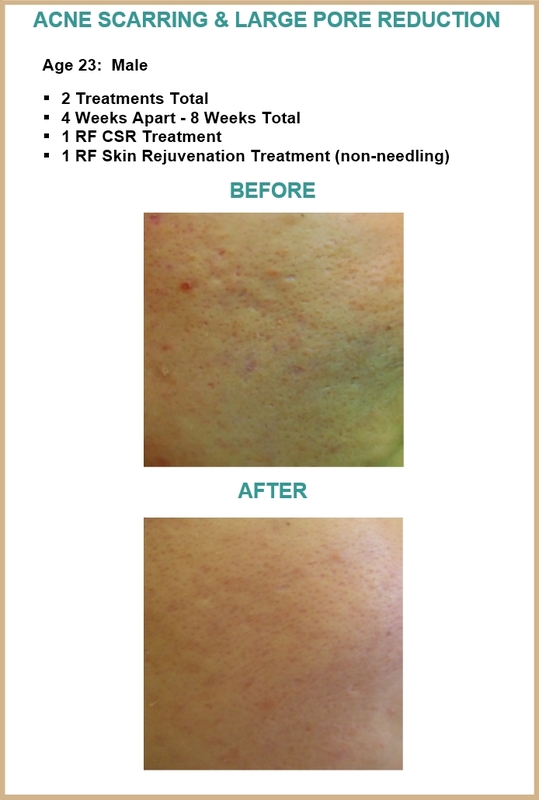 Beautify Spa is the very first Spa in AZ to offer RF CSR Treatments. We have performed more treatments than any other provider in AZ - Over 5,000 RF CSR Treatments. We also have the absolute lowest pricing in AZ. RF CSR combines the best of two clinically-proven therapies; Collagen Skin Rejuvenation technology (DermaPen� - Collagen Induction Therapy) and combines it with RF Energy technology also known as Thermage�. RF Energy (Radio Frequency) is safe, non-invasive and permeates deeper down into the Dermis, stimulating fibroblasts to help grow Collagen. See skin cross-section picture below. The results can be phenomenal; greatly reduced fine lines & wrinkles, tighter skin, reduced pore size, lightening of pigmentation/sun spots, and over-all skin rejuvenation for a younger appearance! There is virtually No-downtime and you can resume most activities immediately! This Combination Technology is Better than Laser or Thermage��It is the closest treatment to a facelift without going under the knife. It's been called Photoshop for Your Face! Combines 2 of the Best Clinically-Proven Technologies! Always amazing and the RF CSR has made my skin look amazing and so much smoother. No, you are not the only skin care in Arizona to have RF-CSR. However, you are the only ones who know how to use it properly!! I had it at another spa in Phoenix and I had to wait a month for results and I was left with small bloody triangular shaped stamps on my face for 2 days. The girl obviously pressed too hard. At International Skin Care I had Annette who was a pro. She was very gentle and took her time. My whole face and chin where done as opposed to below my eyebrows and to my chin line at the other place. Annette cooled me off after the procedure and put ointment on my face. I was never uncomfortable and I saw results right away!!! I am soooo pleased! The price was much better as was the atmosphere. I would recommend to all my friends. Annette is truly super!! I cannot believe the results from my RF CSR treatment, especially when followed with a few of the LED treatments. I saw definite tightening immediately, especially around the eyes. The green light LED treatment helped significantly reduce age spots and improve overall pigmentation. It also left my skin feeling pump and hydrated. I have had my first course of RF CSR's, and I know it is making a difference. The RF CSR along with facials and LED's have made my skin look and feel so much better. I just signed up for 5 treatments of the RF-CRS and am looking forward to the changes they will make. I highly recommend ISCI. I bought an Amazon Deal for the RF/CSR; described as "Photoshop for the Face". I go in cynical, but figured what the heck. Saturday afternoon, I pull up to this white Soviet-style block building in Old Scottsdale and my heart sinks. Ugh. I can already tell what this experience is going to be like. Except I walk thru a set of iron gates and down a short arched hall and find myself whisked far from the gritty urban landscape and into the garden of the Kasbah---a beautiful tiled courtyard with comfy seating and a playful fountains and leafy greenery that trembled in the breeze. Wow---this is cool. My Esthetician got me settled in, told me in detail about the procedure & expected results & then checked to make sure I had no questions. And so we began, I only winced was when she worked on the spot where your cheek curves into your nose. On a scale of 1-10, discomfort was at worst a 3.5, and more like a 2. One of my complaints about my "older" face is the bags under my eyes. I swear, SWA wants to charge me excess baggage fees for those puppies. Folks, I kid you not---I got up Sunday morning, looked in the mirror, and those sad little pillows that resided under my eyes had been reduced about 80%. I am not joking. I almost fell off my chair. Now, that's the only "turbo" difference I noticed that fast and radically, but over the past 10 days, I have also noticed that my skin grain seems finer. The reduction in the baggy eyes has remained. not for a single moment do I feel like I got lesser service at ISCI because I came in on a coupon. I was there almost 2 hours and felt pampered and valued. Great experience. International Skin Care Institue (ISCI) has talented Estheticians. They took so much care with my RF collagen rejuvenation treatment--taking care to explain to me in detail what they were doing and why they were doing it. When you are working with a skin care specialist, you want to have confidence that the practitioner knows exactly what she is doing, and ISCI established that trust. I have already begun to see some results and am looking forward to my future treatments. Had my first Rf CSR yesterday and already the results are amazing. Tightening around the eyes, pumped up my cheeks the lines around my mouth. Incredible. I just had an RF CSR and my skin looks gorgeous...It is absolutely flawless! It is called "Photoshop for the Face," and no kidding - it really is. I will be 51 next week, and my skin hasn't looked this good since I was in my late 20's or early 30's. What I also love is that there is literally no downtime. You can wear makeup after 24 hours of having it done, and I had very little redness. It is virtually painless - I knew it was being done, but I didn't feel anything. If I did feel something while it was done, it was very mild and it didn't hurt at all. I am hooked on this and I plan to do this forever!! If you want to make improvements to your skin quality, tone, etc, get this done. You will be amazed!!!! If you want to make improvements to your skin quality, tone, etc, get this done. You will be amazed!!!! Within 14 days of having one RF Collagen Skin Rejuvenation Treatment (RF CSR) my skin no longer displayed 2 visible age spots on the left cheek. As the treatment was used on the entire face, I also noticed that my skin appeared fresher. I followed up with two LED Skin Rejuvenation treatments two weeks apart. I experienced no downtime after any of the procedures. I was aware that it feet (not looked) like a mild sunburn for 1 to 2 hours following the RF CSR sessions. I did not have any burning discomfort after any of the procedures and my skin is looking really good. Maintaining the collagen support under my skin makes my skin look healthier and younger. The RF energy permeates & micro-focuses to the proper depth allowing the best collagen formation. Collagen plumps fine lines & wrinkles, and promotes over-all skin rejuvenation for younger looking skin! The Penetration of Laser energy gets weaker due to the of Laser absorptions by water, hemoglobin, melanin etc. RF Energy micro-focuses and penetrates into target area without those absorptions. Additionally, there is no surface Thermal damage with RF Energy. This advanced treatment is the very latest technology and the first cosmetic RF device to provide an effective, gradual procedure that creates new healthy tissue by stimulating the body to naturally repair aging and photo-damaged skin without significant risks or recovery time. It combines Electronic micro-needling with RF (Radio Frequency) Technology. Micro-needles (virtually painless & leave no marks) penetrate the skin allowing the micro-focused RF energy to penetrate deep into the dermal layers of the skin with more precision than similar procedures using Lasers, i.e. Fractional Laser. RF CSR improves your appearance by affecting only a fraction of your skin at a time with thousands of microscopic RF Pixel spots. It's like Photoshop editing software for your face! 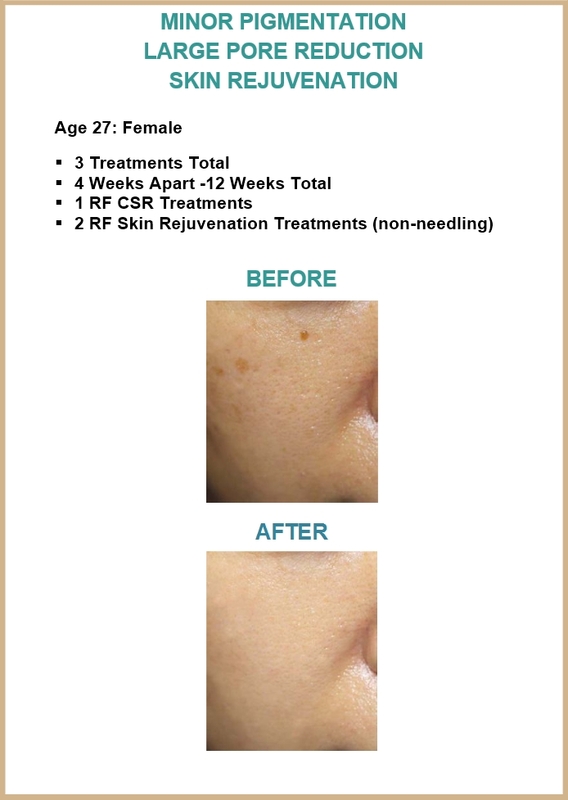 RF CSR is designed especially for delivery RF Energy directly to Dermis layer (under the top layers of skin) in order to stimulate and re-model collagen effectively by either RF micro-needling mode or RF matrix mode (non-needling). It's safer, more effective, less expensive and allows treatment regardless of skin type. 25 micro-needles provide direct heat both epidermis and dermis with precise depth control from 0.5mm to 3.0mm. 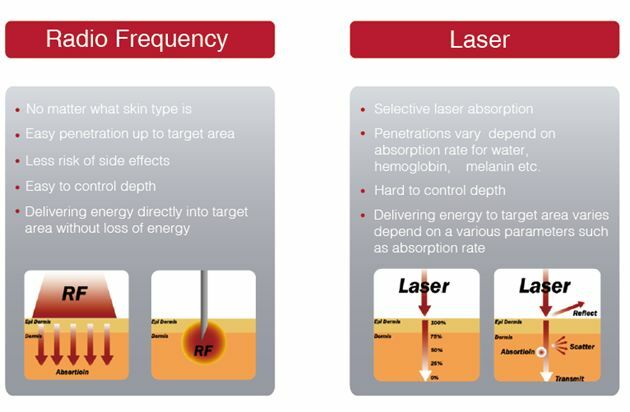 Where Lasers are mostly absorbed by melanin, especially in darker skin. DermaPen� & Eclipse� Micro-Needle pens only go to depth of 2.0mm. The best results for collagen production occur at depth deeper than 2.0mm�RF CSR goes to a depth of 4.0 mm (Micro-Needle & RF Energy combined). Under the Epidermis lies the Dermis, this dual-treatment allows the protective barrier is broken, the normal (physiologic) process of wound healing is immediately set in motion, a set of complex biochemical events takes place in a closely orchestrated cascade to repair the damage. 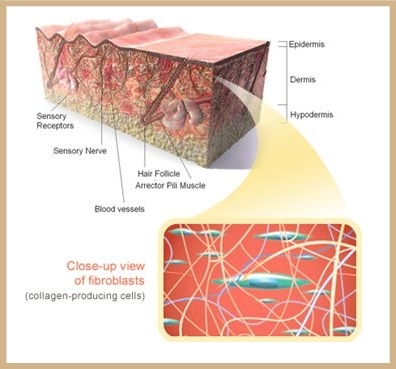 Fibroblasts grow and form a new, provisional extracellular matrix (ECM) by excreting collagen and fibronectin In contraction, the skin (or scar) is made smaller by the action of myofibroblasts In the maturation and remodeling phase, collagen is remodeled and realigned along tension lines giving fresh, even and more youthful skin. It is not painful during or after a treatment. Treats Large Pores, Scars, Lines & Deep Wrinkles, Acne, and Pigmentation at the Same Time! Produces Collagen and Elastin in the Skin and Improves Fine Lines & Wrinkles. Makes Skin Smooth and Tightens the Pores Using RF Energy. Has the Minimal Pain and Delivers the Energy Safely. Goes Straight to the Target Without Any Damage on the Epidermis (top layer of skin). RF Penetrates the Targeting Area (Collagen Remodeling Area) Directly Achieving the Best Effect. What Can I Expect After One RF CSR Treatment? After your first RF CSR Treatment, you will begin to feel the difference in your skin as it gradually becomes softer, smoother and rejuvenated. Fine lines around your eyes and acne scars will noticeably fade, along with uneven skin color and the brown spots caused by aging and sun exposure. Your skin should feel tighter and you will have an over-all younger appearance. What Can I Expect After a Few RF CSR Treatments? Your skin will take on a distinctly youthful and healthy appearance. Even deep acne scars will gradually disappear and your skin will look smoother and more refined. Fine lines & wrinkles will be greatly diminished. Pore size will be reduced. Skin with be tighter. You will appear even more youthful. What is RF CSR Used For? 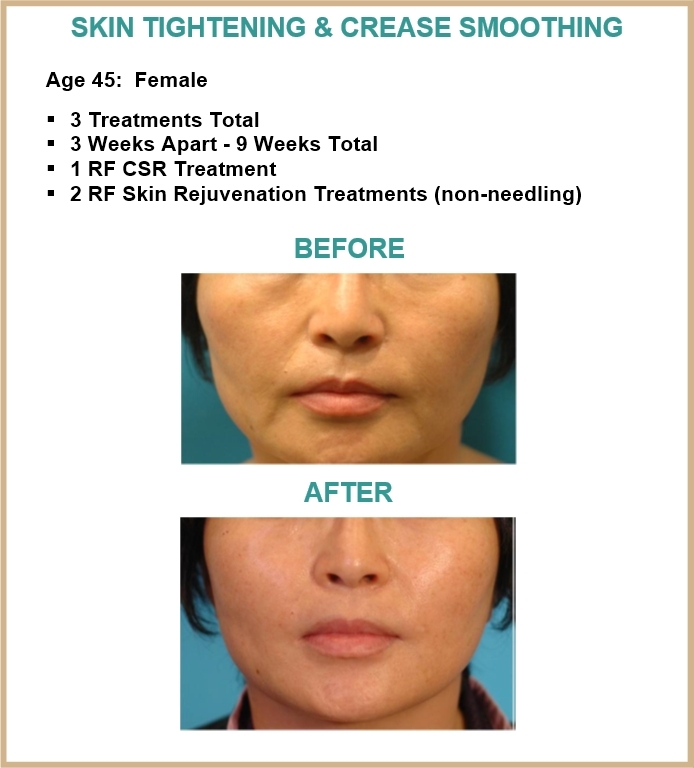 RF CSR is healthier, safer, natural alternative to plastic surgery and injectables. It provides excellent for over-all skin rejuvenation, including; treating deep acne scars, minor pigmentation including Melasma. 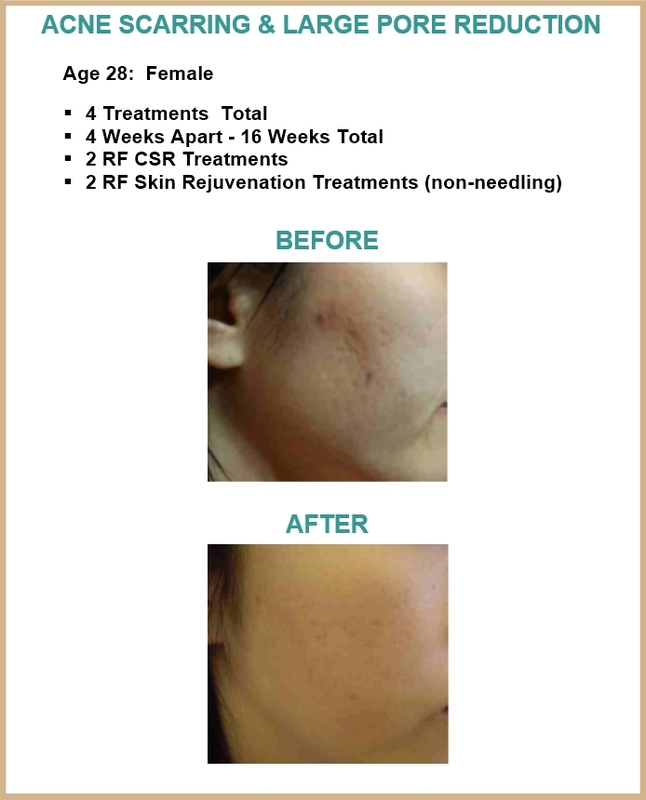 RF CSR refreshes your skin, delaying & even reversing the signs of aging. Your skin looks younger, softer and smoother. What is the Downtime with a RF CSR? There is virtually No down-time. Every person's skin can react differently. You may appear light to medium pink for about a day, and if you have sensitive skin you could be a bit redder for up to 2 days. You can however, wear make-up after 24 hours. There can be light square marks on your skin that can last up to 6 days; however you can wear cover-up makeup after 24 hours. There may be some mild flaking. There is minimal discomfort and customers may return to most routine activities. Some customers may also notice mild bronzing that lasts anywhere from 3 to 14 days, depending on the treatment level. This is a result of a high treatment level and is not a typical side effect. You can discuss the optimal treatment level to suit your skin and lifestyle with your Esthetician. The good news is; you can usually see nice results after only one treatment! If you want even better results or you have skin issues, this would require more than one treatment. 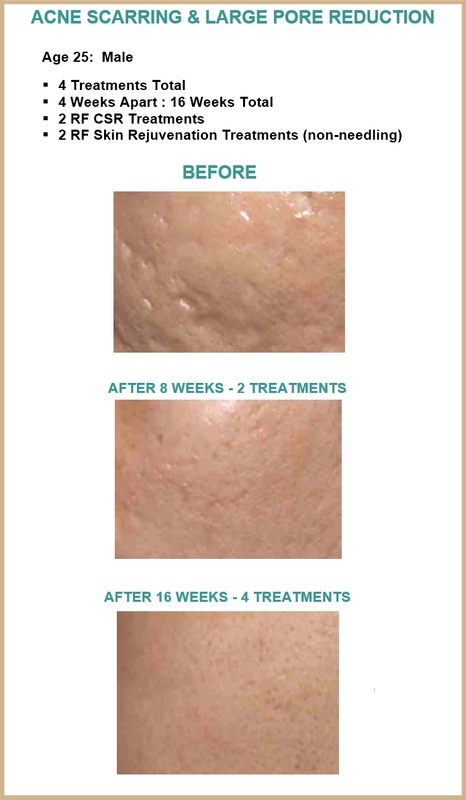 For best results, clinical studies show that 3 to 5 treatments, spaced about 1 month apart, produce a gradual remodeling of dermal matrix components, until complete healing occurs and healthy tissue containing collagen and elastin replaces old epidermal and dermal tissue. Over a period of 1 to 3 months, clinical improvement in photo-aged skin correlates with dermal repair and positive skin changes. Fine lines & wrinkles will have been greatly diminished and your skin will be tighter and appear more youthful. Is RF (Radio Frequency Energy) Safe? RF CSR treatment machines have been FDA Approved and have a CE Certification; the safety has been proven in a clinical report. Is RF CSR Suitable for Sensitive Skin? Sensitive skin is suitable for the RF CSR treatment; it could change the sensitivity in some degree. Is RF CSR Suitable for the Dark Color Skin? RF CSR is suitable for the dark color skin, since there is not light power, only RF Energy. 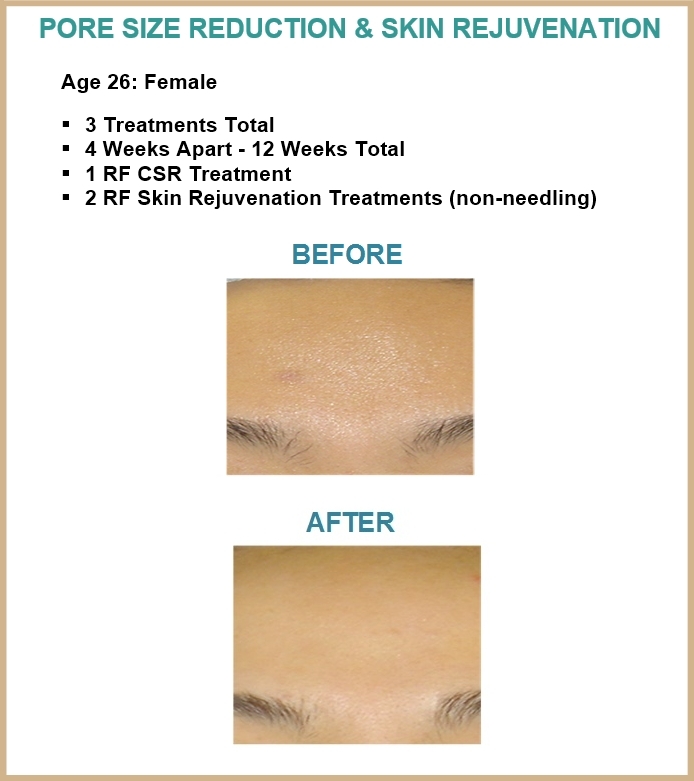 Does Skin Become Thinner After an RF CSR Treatment? The RF CSR treatment will not make the skin thinner; it could activate the growth of Collagen to make the skin healthier. How Long Will the RF CSR Results Last? A single RF CSR Treatment can last 6 months to over a Year. 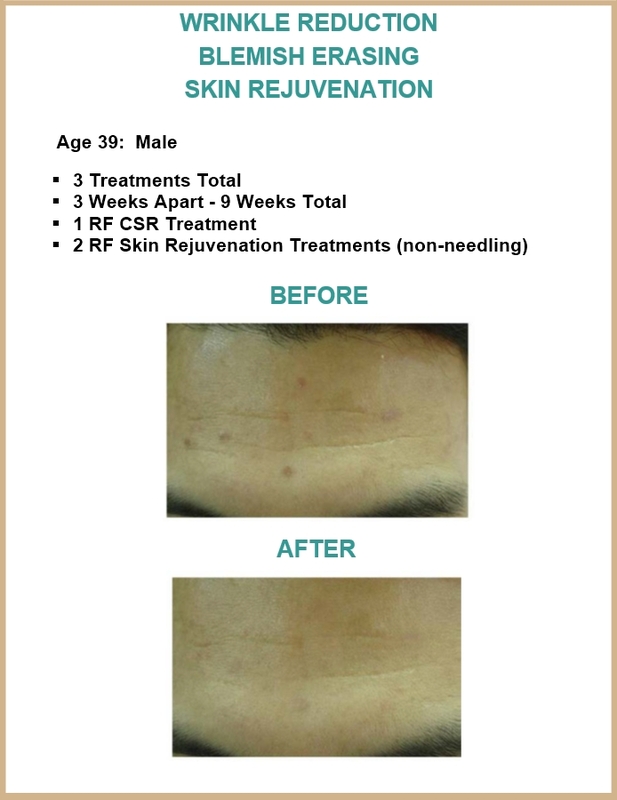 If you receive up to 5 RF CSR Treatments, results can last over 3 years. LED Skin Rejuvenation Treatments help improve & prolong results. RF CSR results can very due to these factors; age, body make-up, stress, & lifestyle (Proper Diet, Exercise, Sleep. Balanced Alcohol & Drug Consumption). What is the Difference of RF CSR and Fractional CO2 Laser? Fraction RF is better than Fractional CO2 Laser, because Fractional Laser is a �single' wavelength; the indications only have a small range, and are limited to skin color. The absorbed Energy is different with different colors of pigment. RF CSR is not affected by different pigment colors and suitable for all kinds of skin color. Obviously, results can be seen after each treatment. Add HA SkinFusion to the CSR Treatment for Even Better Results! Improves results of your CSR by 15 � 30% by adding an actual component of your skin that we all lose due to aging; Hyaluronic Acid. It's super hydrating, and helps plump skin giving your skin a more youthful, glowy look! 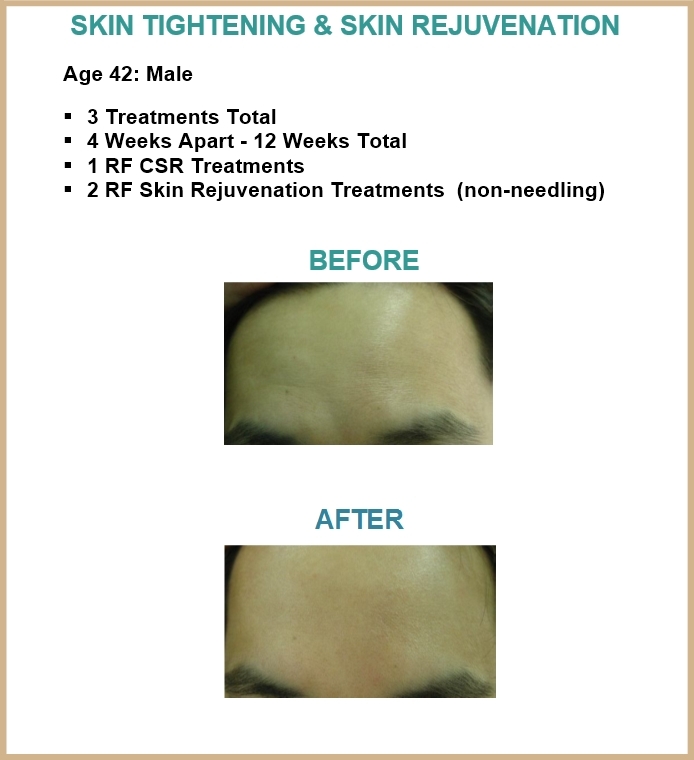 Add CSR Patented Growth Factor to your CSR Treatment for Even Better Results! This treatment is Patented and Clinically-Proven to work. 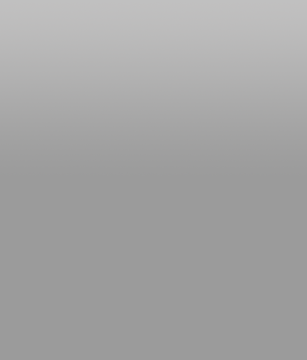 Improves results of your CSR by 15 � 30%. Growth Factor utilizes the unique Patented SCA Technology, a growth factor, which stimulates "fibroblast" proliferation, to slow and reverse the visible signs of aging. It is clinically shown to improve the extracellular matrix increasing; Collagen deposition, Hyaluronic acid density, and Elastin integrity�all the components that make up your skin. Schedule Your RF CSR Today � You'll Love It!